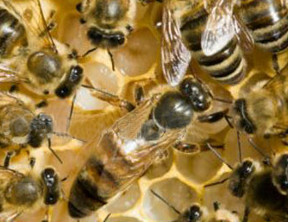 An important part of beekeeping is recognizing honey bee diseases and pests. The price for this 28 page full colour manual is $15 plus shipping within Canada. Contact us: info at urbanbeenetwork.ca and we will send an electronic invoice that allows online payment by credit card. Canadian Association of Professional Apiculturists "Honey Bee Diseases and Pests" - provides a expert advice with the most current information on diagnosing and treating honey bee diseases and pests. Eighteen authors have contributed to the latest edition. Updates include the latest information on small hive beetle, viruses and nosema disease. The manual is also available in French. Beekeeping in Western Canada is an essential book for learning about spring management of bees, winter feeding, honey extraction, honey bee health and marketing your beeswax, pollen and honey crop. National Bee Diagnostic Centre, Grand Prairie AB - for laboratory analysis, disease and virus identification.